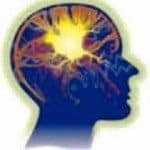 Are you aware of your negative thoughts which sabotage your happiness, self-esteem, and success? When negative thoughts sabotage our conscious intents, we feel bad about ourselves which increases our negative thinking. Are you sick and tired of the same patterns reappearing in your life, over and over? Do you focus on what you want and still get the opposite? On the other hand, does worry also create what you don’t want? Do the following three tips to overcome negative thinking thereby improving your self-esteem and success in all areas of your life. One way to begin becoming more aware of these negative thoughts involves looking into a physical mirror, preferably 3 times a day, morning, evening, and before bedtime. Look deeply into your eyes and say, I Love You. See more about this in my article Why Do We as Children Growing up in the Western World Have Such Low Self-Esteem? Do you love yourself 100%? Most of us will say “No.” The mirror exercise allows the positive statement I Love You to draw the negative thoughts in our unconscious to the surface of our awareness. These thoughts sabotage our efforts to love ourselves more, have more money, have better relationships, and more satisfying work. Are you willing to practice the self esteem mirror exercise for 21 days in a row to begin to overcome your negative thoughts? Sentence completion provides a simple tool to increase our awareness of negative thoughts in our unconscious. Write an ending to a sentence stem at least 6-10 times, following two rules. Rule 1 – Sentence completion involves answering open ended sentences without thinking about your response before hand. Without censoring and being as honest as possible, you write down the first answers you receive. Rule 2 – Never use the same ending twice. See examples below. You can use any open ended sentences you want. Ideally do this exercise for 21 days in a row. Refrain from looking at previous answers. After 21 days, look at your answers. Some will be repetitions, while some will be new answers. Some answers will be from your conscious mind and others from your unconscious. The longer you do this exercise the more awareness you receive. 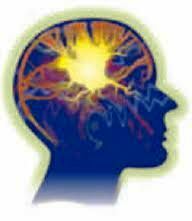 Negative thoughts, unaware to us, imbed in our cells, in our DNA as beliefs, images, and memories. This has been proved by biologist Bruce Lipton in Biology of Belief and also Candace Pert PH. D. in Molecules of Emotion. The self-esteem mirror exercise and sentence completions bring to the surface of our awareness how we sabotage ourselves. The Healing Code by Alexander Loyd allows us to dissolve and heal our negative thoughts at the DNA level. We thus stop sabotaging our conscious intents. Are you ready to overcome the negative thought patterns in your life?